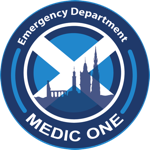 Gillian graduated from the University of Aberdeen in 2008 and then moved to Edinburgh to complete her training in Emergency Medicine. She completed her training with paediatric subspecialty in 2018 having a short venture to Canada to do paeds ultrasound. Out of work most likely to be found up a hill.